Many investors are drawn to Vanguard funds because of the investment manager’s leadership in low-cost indexing. Others are drawn to their top-tier active management. Luckily, both qualities are applied exceedingly well across Vanguard’s income offerings. In fact, given the wide array of dividend and fixed-income options across Vanguard’s mutual funds and exchange-traded funds (ETFs), there’s no reason anyone building an income portfolio should ignore what Vanguard is serving up. The worst thing you can do when hunting for dividends is to have a large chunk of your yield effectively eaten away by hefty annual fees. That’s not a fear when it comes to Vanguard’s funds, which typically boast expenses far lower than the class average. If you’re constructing an income portfolio, you’ll need several flavors — high yield, dividend growth, even more protective funds that offer just a little income while you go on defense and wait out a market storm. Here are 10 great Vanguard funds that make the grade for income investors of all stripes. The Vanguard High Dividend Yield ETF (NYSEARCA:VYM) is a broad equity fund that offers a market-beating yield of more than 3%. VYM tracks the FTSE High Dividend Yield Index, which consists of large- and mid-cap U.S. stocks that pay above-average dividends relative to the broad market. In other words, the focus here is yield. While that does lead to some “riskier” high-yield equities lower down in the portfolio, the vast bulk of VYM’s 405 holdings are steady blue chips that also sport more generous yields. Top holdings include the likes of Exxon Mobil Corporation (NYSE:XOM) and Johnson & Johnson (NYSE:JNJ). Thus, these dividends are both substantial and safe. Since its inception at the end of 2006, VYM has produced an average annual total return of 7.63%, highlighting the profitable nature of investing in dividend stocks over the long haul. 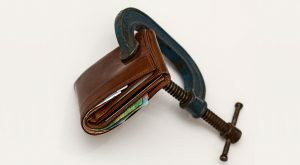 Rock-bottom expenses of just 8 basis points help you pocket the lion’s share of Vanguard High Dividend Yield’s payouts. A large headline yield is great for income today. But what about income for tomorrow? Thanks to inflation, a high yield won’t mean much to your future purchasing power. Vanguard funds have you covered. The Vanguard Dividend Appreciation Index Fund Investor Shares (MUTF:VDAIX) tracks the Nasdaq U.S. Dividend Achievers Select Index. Every member of this group of dividend stocks has increased its regular annual dividend each year for a minimum of 10 years. VDIAX’s 187 holdings are a who’s who of reliable dividend stocks, with firms such as Abbott Laboratories (NYSE:ABT) and 3M Co (NYSE:MMM) finding their way into the top 10 holdings. 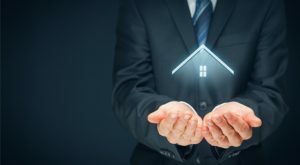 The fund does not invest in real estate investment trusts (REITs) or master limited partnerships (MLPs), and the vast bulk of its distributions are considered “qualified dividends” for tax purposes. The fund’s current yield just short of 2% isn’t very high. However, dividend payouts will grow over time, increasing your yield on cost. Moreover, a focus on reliable payout growth ensures that VDIAX invests in rock-solid companies with bulletproof balance sheets. Low expenses of 17 basis points and a 12.64% average annual return over the past five years makes VDIAX a powerful side fund as you build your income portfolio. Treasury bonds are one of the most common holdings in income portfolios, but investors tend to look at other options as they try to boost the yield profile. Some investors go after corporate bonds, but GNMA bonds are a good pick, too — especially if you like the government guarantee. The Government National Mortgage Association (GNMA, aka Ginnie Mae) issues bonds that represent pools of mortgages. And unlike Freddie Mac or Fannie Mae bonds, GNMA bonds are issued by the Federal Housing Authority and are backed by the full faith and credit of the U.S. government. 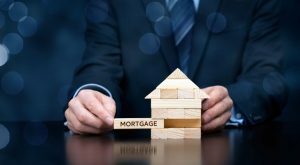 They typically pay slightly more than comparable Treasury bonds thanks to the slightly higher risk that you or I could default on our mortgages or pay them back earlier. 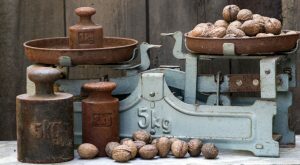 Still, GNMA mortgages strike a fine balance between yield and safety. The $25 billion Vanguard GNMA Fund Investor Shares (MUTF:VFIIX) allows investors to bet on these mortgages. The fund is actively managed by the whiz kids at Wellington and looks to create a predictable income stream by selecting GNMA securities with strong relative values. Wellington also actively repositions the fund as the economic environment shifts. So far, so good. VFIIX has produced a 7.63% annual return since 1980, and makes an ideal core income fund. Some sectors by nature pay more in dividends than others. Utilities are one of those sectors. Thanks to extremely fixed costs, stable demand and near-monopolistic business, utilities can hand much of their cash back to investors in the form of generous dividends, typically above 3%. The Vanguard Utilities ETF (NYSEARCA:VPU) offers one of the broadest collections of utility stocks compared to other sector ETFs. This includes large-cap sector stalwarts like NextEra Energy Inc (NYSE:NEE), as well as mid- and small-cap utilities. This inclusion of these smaller firms bumps VPU’s total holdings to 76; compare that to the more popular Utilities Select Sector SPDR Fund (NYSEARCA:XLU) and its 30-stock portfolio. These smaller utilities have helped VPU on the return front, leading the fund to an 11.63% annual average return over the past five years. And the smaller companies certainly don’t hold back the yield, with VPU offering up a generous 3.3%. Investors looking to add sector dividends to their income portfolios need look no further than this great Vanguard sector ETF, which also is dirt-cheap at just 10 basis points annually. Along the same lines, the real estate investment trust (REIT) sector is another dividend winner. That’s what happens when the companies in your sector are all governed by a specific tax structure designed to return cash to shareholders. REITs are required to distribute at least 90% of their taxable income to shareholders in the form of dividends. Yields for the sector typically range from 2% to 7%, with the lower yields more a result of hot stock prices than anything else. VNQ provides access to properties such as apartments, shopping malls, office buildings and more. Top holdings at the moment include office giant Boston Properties, Inc. (NYSE:BXP) and storage unit specialist Extra Space Storage, Inc. (NYSE:EXR). The combination of high yield and capital appreciation has guided VNQ to an impressive 9.06% average annual return since inception in mid-2004. That has come partly on the back of a dividend that current yields nearly 4%. Investors too often ignore international stocks in their hunt for income. That’s a shame, because there are plenty of benefits in looking overseas. Aside from currency diversification, international blue chips tend to yield quite a bit more as a group than their U.S. counterparts. Just take a look at the 4%-plus yield of the International High Dividend Yield Index Fund Admiral Shares (MUTF:VIHAX). VIHAX is the sister Vanguard fund to previously mentioned VYM. And like VYM, VIHAX tracks a basket of stocks that yield more than broad market averages. 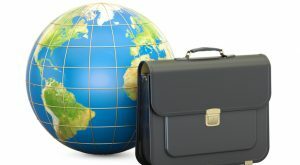 The twist is that the fund focuses its search outside the U.S., across developed and emerging markets. This provides VIHAX with a larger base to search for opportunities. The resulting portfolio is 908 holdings — about twice VYM — and about 120 basis points in extra yield. 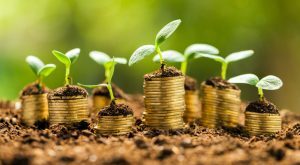 Top holdings are the names you’d expect in such a fund, like Swiss consumer giant Nestle SA (ADR) (OTCMKTS:NSRGY) and British financial stock HSBC Holdings plc (ADR) (NYSE:HSBC). The fund is just more than a year old, so there are no long-term returns to study. But since inception in March 2016, total returns of 18% have outdone the S&P 500. *Expenses based on Admiral shares, which require a $10,000 minimum investment and also charge a 0.25% purchase fee and 0.25% redemption fee. This also is available through Investor shares, which charge 0.42% but require only a $3,000 minimum investment. The IRS cometh, but you can at least minimize the damage via municipal bonds. 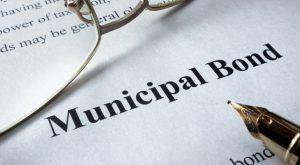 Municipal bonds are issued by local and state governments and agencies to help fund their daily activities or a special project. They’re great investments for higher earners because they provide tax-free income at the federal level (and sometimes even at state and local levels). Thus, a boring muni bond can end up generating better income than more exotic income funds once taxes are taken into consideration. The Vanguard Intermediate-Term Tax-Exempt Fund Investor Shares (MUTF:VWITX) is one of the great Vanguard funds on the market. VWITX bets on munis with a dollar-weighted average nominal maturity between six and 12 years — smack-dab in the middle ground of the maturity spectrum. The middle is the best place to be, as intermediate-term bonds tend to outperform their longer and shorter counterparts over the long run. They offer higher yields than short-term bonds, but are more protected from rising rates than bonds with longer maturities. *While the headline yield is 1.74%, that translates to a 2.88% “tax-equivalent” yield for investors in the highest tax bracket. In other words, a regular fund would need to yield 2.88% to deliver the same amount of income once taxes are taken out. Emerging-market stocks are a staple of most growth portfolios at this point. However, investors still haven’t really caught on to emerging-market bonds, which offer high yields and whose relative risk is managed well within the large, diverse baskets of ETFs and mutual funds. The Vanguard Emerging Markets Government Bond ETF (NASDAQ:VWOB) is an easy way to add a dash of EM bonds … and a 4%-plus dividend. VWOB tracks nearly 1,000 dollar-denominated bonds issued by governments and government-related issuers in emerging market countries. “Dollar-denominated” bonds differ from local currency bonds as these debts are bought and sold in exchange for U.S. dollars. That provides some security to the underlying price of the bond. There shouldn’t be any issues with local currency volatility and crashes. Meanwhile, about 60% of VWOB’s holdings are rated investment grade — between Aa and Baa, so that helps tamp down risk as well. 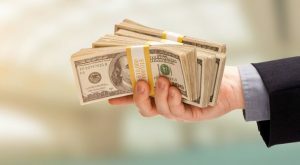 VWOB isn’t exactly something to bet the mortgage on, but it can provide extra yield if you’re willing and able to be more aggressive on your dividend hunt. Adding this as just a small satellite holding can help you squeeze out a few more basis points of yield over the long run. Looking for an income one-stop-shop form Vanguard funds? Well, the Wellesley Income Fund Admiral Shares (MUTF:VWIAX) could be it. VWIAX is considered a balanced fund, meaning it owns stocks and bonds. In this case a 60%–65% bond, 35%–40% stock spilt. As its name implies, Wellesley is designed to produce income and be basically the only fund an investor would need. On the bond side, that means Intermediate duration, investment-grade fixed income securities. We’re talking treasury and corporate bonds. As for stocks, managers will focus on large-company value stocks that pay above-average dividends. Moreover, there is an emphasis on income growth. Typically, VWIAX will hold no more than 100 stocks. The combination produces a pretty decent 3.07% yield. It’s also produced some decent returns. VWIAX has managed to return about 7% since its inception in 2001. Not bad at all for a balanced fund. For investors looking for one ticker access, Vanguard funds deliver with VWIAX. *Wellesley Income’s Admiral shares require a $50,000 minimum investment. Investor shares, with a higher 0.22% expense ratio, are available at a minimum investment of $3,000. The last fund on the list also boasts the most meager payout by far, but stick with me for a moment. Retirement investors need to at the very least keep up with inflation — shrinking spending power over the course of decades can eat away your savings if you’re not growing enough. Treasury Inflation-Protected Securities are bonds that provide investors a fixed yield plus an “extra boost” of adjustments designed to offset inflation. The problem is that while TIPS are meant to protect against rising inflation, longer-duration issues can get crushed when rates rise. The Vanguard Short-Term Inflation-Protected Securities ETF (NYSEARCA:VTIP) holds TIPS that have maturities of less than five years, making them less sensitive to interest rates. This makes VTIP a great place for retired investors who want inflation protection but can’t afford the potential loss in principal. VTIP yields a sparse 0.11%, but as inflation rises over time, that yield will increase. This Vanguard fund, then, is more about securing income at a later date rather than today. Article printed from InvestorPlace Media, https://investorplace.com/2017/08/10-great-vanguard-funds-income-portfolio/.